In biology there are millions of different plants, animals, bacteria, fungi, etc. In order to study them, scientists put them into groups under different orders of classification. Classification is used to group organisms in a meaningful way. Traditionally classification was based upon morphological and behavioural traits, and geographical location. With the advances in technology, it is now common to use biomolecular evidence to determine evolutionary relationships between organisms. It is now known that traits are the result of structure and function, and DNA and protein analysis can be used to find the relationship between organisms. This is the science of identifying and classifying all organisms. The scientists that do this work are called taxonomists. Developed the Great Chain of Being with Plato. This was a religious hierarchical structure for all matter and life and was believed to be decreed by God. In this system, the chain began with God, followed by angelic beings, humanity, animals, plants, and then minerals. Each level of the chain could be further subdivided. He was also responsible for diving the living world between plants and animals. 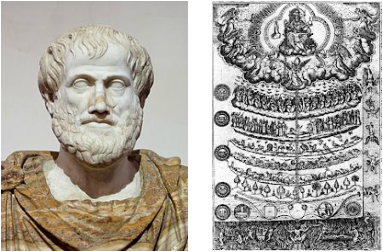 He was responsible for classifying over 500 organisms, and placed them within his system of the "Ladder of Life" (Scala Naturae). In this system he placed animals above plants because of their ability to move, and then classified animals based upon the complexity of their structure and function. He was a Swedish botanist and is considered to be the “Father” of taxonomy. He devised a consistent way of grouping species according to their morphological similarities. Morphological refers to the physical traits of an organism. He also invented the scientific naming system that we still use today called Binomial nomenclature. Before organisms can be classified, it is important to be able to identify them. All organisms have a Common Name, which is used in everyday language. The problem with common names if that different groups of people may have different names for the same organisms, and this changes upon the area that people live in, the language they speak, etc. Thus a single organism can have a variety of common names. Scientific names were developed by Linneaus in order ease this confusion. The scientific names are used by scientists all over the world and use the Binomial Nomenclature format, where each species is assigned a genus name followed by a species name. The two words together form the species' name: Genus species. The both words are always italicized and if that is not possible then they are underlined. The genus is always capitalized, while the species is always lower case. An example describing humans is: Homo sapiens. In the 1970s he began to find evidence for a previously unknown group of prokaryotic organism that lived in extreme environments. They appeared to be prokaryotic, were considered to be bacteria, and were named archaebacteria, meaning ancient bacteria. He developed the Three Domains of Life System, with domains being a higher taxon than kingdoms. 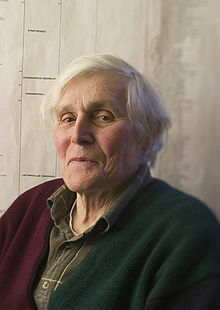 The highest taxonomic level of the modern system of classification according to Woese. The highest taxonomic level of the traditional Linneaen system of classification. All organisms capable of breeding freely with each other under natural conditions. Images of random number of household items. Is there any way that they are similar or different? Invented the scientific binomial naming system we still use today. Created the taxon domain. It is the current system we use. Images of different groups of animals. How could they be classified/names? Handed in as an exit slip.